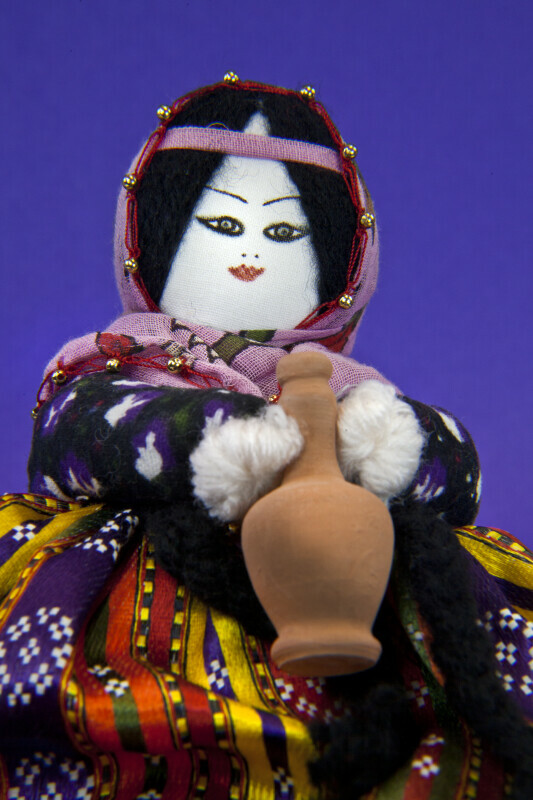 Turkish doll made with stuffed material. She has wire legs for posing and sitting. Her face is hand painted on cloth, and she is wearing a head scarf with small gold beads on the fringe, along with a headband ribbon over her hair made of yarn. Her dress is bright colored fabric that is loose from her bodice to her ankles. She is holding a small ceramic jug. he figure stands 11 inches (28 cm) tall. WARNING: You are about to download a 68.9 MB TIFF!